Service : AFFAIRES DOCTORALES.Equipe : TALN. A. Deveau, H. Gross, E. Morin, T. Karpinets, S. Utturkar, S. Mehnaz, F. Martin, P. Frey-Klett, J. Labbé. Genome Sequence of the Mycorrhizal Helper Bacterium Pseudomonas fluorescens BBc6R8.. In Genome Announcements ; éd. American Society for Microbiology, 2014, vol. 2, num. 1. A. Hazem, E. Morin. Extraction de lexiques bilingues à partir de corpus comparables spécialisés : étude du contexte lexical. In Traitement Automatique des Langues ; éd. ATALA, 2014, vol. 55, num. 1. M. Hatmi, C. Jacquin, S. Meigner, E. Morin, S. Quiniou. Intégration de la reconnaissance des entités nommées au processus de reconnaissance de la parole. In Traitement Automatique des Langues ; éd. ATALA, 2013, vol. 54, num. 2. E. Morin, B. Daille, K. Kageura, K. Takeuchi. Brains, not Brawn: The Use of ‘’Smart’’ Comparable Corpora in Bilingual Terminology Mining. In ACM - Transactions on Speech and Language Processing ; éd. Association for Computing Machinery, 2010, vol. 7, num. 1. E. Morin, B. Daille. Compositionality and lexical alignment of multi-word terms. In Language Resources and Evaluation ; éd. Springer Verlag, 2010, vol. 44, num. 1/2. S. Peña Saldarriaga, C. Viard-Gaudin, E. Morin. Impact of On-line Handwriting Recognition Performance on Text Categorization. In International Journal on Document Analysis and Recognition ; éd. Springer Verlag, 2010, vol. 13, num. 2. E. Prochasson, E. Morin. Points d'ancrage pour l'extraction lexicale bilingue à partir de petits corpus comparables spécialisés. In Traitement Automatique des Langues ; éd. ATALA, 2009. E. Morin, B. Daille. Comparabilité de corpus et fouille terminologique multilingue. In Traitement Automatique des Langues ; éd. ATALA, 2006, vol. 47, num. 1. E. Morin, B. Daille. Extraction de terminologies bilingues á partir de corpus comparables d'un domaine spécialisé. In Traitement Automatique des Langues ; éd. Lavoisier (Hermes Science Publications), 2004, vol. 45, num. 3. E. Morin, C. Jacquemin. Automatic Acquisition and Expansion of Hypernym Links. In Computers and the Humanities ; éd. Springer Verlag, 2004, vol. 38, num. 4. F. Perraud, E. Morin, C. Viard-Gaudin, P. Lallican. Modèles n-gramme et n-classe pour la reconnaissance de l'écriture manuscrite en ligne. In Traitement Automatique des Langues ; éd. ATALA, 2003, vol. 44, num. 1. F. Perraud, E. Morin, C. Viard-Gaudin, P. Lallican. Modéles n-gramme et n-classe pour la reconnaissance de l'écriture manuscrite en ligne. In Traitement Automatique des Langues ; éd. ATALA, 2003, vol. 44, num. 1. B. BOUSSAHA, N. Hernandez, C. Jacquin, E. Morin. Multi-level Context Response Matching in Retrieval-Based Dialog Systems. In Dialog System Technology Challenges Workshop at AAAI, janvier 2019, Honolulu, états-Unis. B. BOUSSAHA, N. Hernandez, C. Jacquin, E. Morin. Towards Simple but Efficient Next Utterance Ranking. In nternational Conference on Computational Linguistics and Intelligent Text Processing (CICLing), avril 2019, La Rochelle, France. R. Bois, G. Gravier, E. Jamet, M. Robert, E. Morin, P. Sébillot. Language-based Construction of Explorable News Graphs for Journalists. In Empirical Methods in Natural Language Processing - Workshop on Natural Language Processing meets Journalism, 2017, Copenhague, Danemark. F. Hmida, E. Morin, B. Daille, E. Planas. KRCTool : un concordancier bilingue pour l'aide à la révision. In Congrès Mondial de Traductologie, avril 2017, Paris, France. J. Lark, E. Morin, S. Saldarriaga. A comparative study of target-based and entity-based opinion extraction. In 18th International Conference on Computational Linguistics and Intelligent Text Processing CICLing, avril 2017, Budapest, Hongrie. S. Salim, N. Hernandez, E. Morin. Dialogue Act Taxonomy Interoperability Using a Meta-Model. In 18th International Conference on Computational Linguistics and Intelligent Text Processing (CICLing 2017), avril 2017, Budapest, Hongrie. R. Bois, G. Gravier, E. Jamet, E. Morin, M. Robert, P. Sébillot. Linking multimedia content for efficient news browsing. In ICMR'17 - ACM International Conference on Multimedia Retrieval, juin 2017, Bucharest, Roumanie. A. Hazem, E. Morin. Bilingual Word Embeddings for Bilingual Terminology Extraction from Specialized Comparable Corpora. In Proceedings, 8th International Joint Conference on Natural Language Processing (IJCNLP), novembre 2017, Taipei, Taïwan. F. Hmida, E. Morin, B. Daille. Aligned Knowledge-Rich Contexts from Specialized Comparable Corpora. In CICLING 2016, avril 2016, Konya, Turquie. S. Salim, N. Hernandez, E. Morin. Comparaison d’approches de classification automatique des actes de dialogue dans un corpus de conversations écrites en ligne sur différentes modalités. In 23ème Conférence sur le Traitement Automatique des Langues Naturelles, juin 2016, Paris, France. F. Hmida, E. Morin, B. Daille, E. Planas. A Bilingual KRC Concordancer for Assisted Translation Revision based on Specialized Comparable Corpora. In Terminology and Knowledge Engineering, juin 2016, Copenhagen, Danemark. A. Simon, R. Bois, G. Gravier, P. Sébillot, E. Morin, S. Moens. Hierarchical Topic Models for Language-based Video Hyperlinking. In Workshop on Speech, Language and Audio in Multimedia, 2015, Brisbane, Australie. A. Linard, B. Daille, E. Morin. Attempting to Bypass Alignment from Comparable Corpora via Pivot Language. In Proceedings of the Eighth Workshop on Building and Using Comparable Corpora, juillet 2015, Beijing, Chine. E. Morin, A. Hazem, F. Boudin, E. Loginova Clouet. LINA: Identifying Comparable Documents from Wikipedia. In Eighth Workshop on Building and Using Comparable Corpora, juillet 2015, Pékin, Chine. E. Morin, A. Hazem. Looking at Unbalanced Specialized Comparable Corpora for Bilingual Lexicon Extraction. In Proceedings of the 52nd Annual Meeting of the Association for Computational Linguistics (ACL), juin 2014, Baltimore, états-Unis. M. Hatmi, C. Jacquin, E. Morin, S. Meignier. Incorporating Named Entity Recognition into the Speech Transcription Process. In Interspeech, 2013, Lyon, France. F. Boudin, E. Morin. Keyphrase Extraction for N-best Reranking in Multi-Sentence Compression. In North American Chapter of the Association for Computational Linguistics (NAACL), juin 2013, Atlanta, états-Unis. M. Hatmi, C. Jacquin, E. Morin, S. Meigner. Incorporating Named Entity Recognition into the Speech Transcription Process. In Proceedings of the 14th Annual Conference of the International Speech Communication Association (Interspeech'13), août 2013, Lyon, France. A. Hazem, E. Morin. Word Co-occurrence Counts Prediction for Bilingual Terminology Extraction from Comparable Corpora.. In 6th International Joint Conference on Natural Language Processing. IJCNLP 2013., octobre 2013, Nagoya, Japon. S. Peña Saldarriaga, E. Morin, C. Viard-Gaudin. Retrieving handwriting by combining word spotting and manifold ranking. In Document Recognition and Retrieval XIX, janvier 2012, Burlingame, California, états-Unis. A. Hazem, E. Morin. QAlign: A New Method for Bilingual Lexicon Extraction from Comparable Corpora.. In the 13th Conference on Intelligent Text Processing and Computational Linguistics. CICLing 2012., mars 2012, New Delhi, Inde. R. Harastani, B. Daille, E. Morin. Neoclassical Compound Alignments from Comparable Corpora. In Computational Linguistics and Intelligent Text Processing - 13th International Conference, CICLing 2012, mars 2012, New Delhi, Inde. A. Hazem, E. Morin. Adaptive Dictionary for Bilingual Lexicon Extraction from Comparable Corpora. In 12th International Conference on Language Resources and Evaluation. LREC 2012 (Short paper), mai 2012, Istanbul, Turquie. T. Gornostay, A. Gojun, M. Weller, U. Heid, E. Morin, B. Daille, H. Blancafort, S. Sharoff, C. Méchoulam. Terminology Extraction, Translation Tools and Comparable Corpora: TTC concept, midterm progress and achieved results. In LREC 2012 Workshop on Creating Cross-language Resources for Disconnected Languages and Styles (CREDISLAS), mai 2012, Istanbul, Turquie. E. Morin, B. Daille. Compositionnalité et contextes issus de corpus comparables pour la traduction terminologique. In conférence conjointe JEP-TALN-RECITAL 2012, juin 2012, Grenoble, France. T. Gornostay, A. Ramm, U. Heid, E. Morin, R. Harastani, E. Planas. Terminology Extraction from Comparable Corpora for Latvian. In HLT 2012: 5th International Conference Human Language Technologies, octobre 2012, , Estonie. E. Delpech, B. Daille, E. Morin, C. Lemaire. Identification of Fertile Translations in Medical Comparable Corpora: a Morpho-Compositional Approach. In AMTA, octobre 2012, San Diego, CA, états-Unis. E. Delpech, B. Daille, E. Morin, C. Lemaire. Extraction of domain-specific bilingual lexicon from comparable corpora: compositional translation and ranking. In COLING 2012, décembre 2012, Mumbai, Inde. E. Morin, B. Daille. Revising the Compositional Method for Terminology Acquisition from Comparable Corpora. In 24th International Conference on Computational Linguistics (COLING), décembre 2012, Mombai, Inde. S. Quiniou, H. Mouchère, S. Peña Saldarriaga, C. Viard-Gaudin, E. Morin, S. Petitrenaud, S. Medjkoune. HAMEX - a Handwritten and Audio Dataset of Mathematical Expressions. In 11th International Conference on Document Analysis and Recognition, ICDAR 2011, septembre 2011, Beijing, Chine. F. Poulard, B. Daille, C. Jacquin, L. Monceaux, E. Morin, H. Blancafort. Comparability Measurement for Terminology Extraction. In Workshop on Creation, Harmonization and Application of Terminology resources (CHAT 2011) in conjunction with the 18th Nordic Conference on Computational Linguistics (NODALIDA 2011)., mai 2011, Riga, Lettonie.In Northern European Association for Language Technology (NEALT) (éds.), . , 2011. E. Morin, A. Hazem, S. Peña Saldarriaga. Bilingual Lexicon Extraction from Comparable Corpora as Metasearch. In 4th Workshop on Building and Using Comparable Corpora: Comparable Corpora and the Web, juin 2011, Portland, états-Unis.In Association for Computational Linguistics (éds.), . , 2011. E. Morin, E. Prochasson. Bilingual Lexicon Extraction from Comparable Corpora Enhanced with Parallel Corpora. In 4th Workshop on Building and Using Comparable Corpora: Comparable Corpora and the Web, juin 2011, Portland, états-Unis.In Association for Computational Linguistics (éds. ), 4th Workshop on Building and Using Comparable Corpora: Comparable Corpora and the Web. , 2011. S. Peña Saldarriaga, C. Viard-Gaudin, E. Morin. Combining Approaches to On-line Handwriting Information Retrieval. In Electronic Imaging: Document Recognition and Retrieval XVI, janvier 2010, San José, états-Unis. S. Peña Saldarriaga, E. Morin, C. Viard-Gaudin. Ranking Fusion Methods Applied to On-line Handwriting Information Retrieval. In 32nd European Conference on Information Retrieval, mars 2010, Milton Keynes, Royaume-Uni. S. Peña Saldarriaga, C. Viard-Gaudin, E. Morin. On-line handwritten text categorization. In Document Recognition and Retrieval XVI (DRR 2009), janvier 2009, San José, états-Unis. E. Prochasson, E. Morin. Influence des points d'ancrage pour l'extraction lexicale bilingue à partir de corpus comparables spécialisés. In Conférences sur le Traitement Automatique des Langues Naturelles, juin 2009, Senlis, France. S. Peña Saldarriaga, E. Morin, C. Viard-Gaudin. Using top n recognition candidates to categorize on-line handwritten documents. In 10th International Conference on Document Analysis and Recognition (ICDAR 2009), juillet 2009, Barcelona, Espagne. E. Prochasson, E. Morin, K. Kageura. Anchor points for bilingual lexicon extraction from small comparable corpora. In Machine Translation Summit, août 2009, , France. L. Goeuriot, B. Daille, E. Morin. Compilation of specialized comparable corpus in French and Japanese. In ACL-IJCNLP workshop “Building and Using Comparable Corpora” (BUCC 2009), août 2009, , Singapour.In Pascale Fung, Reinhard Rapp, Pierre Zweigenbaum (éds. ), Proceedings of the ACL-IJCNLP workshop “Building and Using Comparable Corpora” (BUCC 2009). , 2009. E. Prochasson, K. Kageura, E. Morin, A. Aizawa. Looking for Transliterations in a Trilingual English, French and Japanese Specialised Comparable Corpus. In Language Resources and Evaluation Conference, mai 2008, Marrakech, Maroc. S. Peña Saldarriaga, E. Morin, C. Viard-Gaudin. Categorization of on-line handwritten documents. In Eighth IAPR International Workshop on Document Analysis Systems (DAS 2008), septembre 2008, Nara, Japon. B. Daille, E. Morin. Effective Compositional Model for Lexical Alignment. In IJCNLP 2008: Third International Joint Conference on Natural Language Processing, janvier 2008, Hyderabad, Inde.In Asian Federation of Natural Language Processing (éds. ), Proceedings, IJCNLP 2008: Third International Joint Conference on Natural Language Processing. , 2008. E. Morin, B. Daille, K. Takeuchi, K. Kageura. Bilingual Terminology Mining -- Using Brain, not brawn comparable corpora. In The 45th Annual Meeting of the Association for Computational Linguistics, 2007, , République tchèque. E. Prochasson, C. Viard-Gaudin, E. Morin. Language Models for Handwritten Short Message Services. In International Conference on Document Analysis and Recognition, septembre 2007, , Brésil. E. Prochasson, E. Morin, C. Viard-Gaudin. Vers la reconnaissance de mini-messages manuscrits. In Colloque International sur le Lexique et la Grammaire, octobre 2007, Bonifacio, France. L. Goeuriot, E. Dubreil, B. Daille, E. Morin. Identifying criteria to automatically distinguish between scientific and popular science registers. In SIGIR 2005 worshop on Stylistic Analysis of Text for Information Access, août 2005, , Brésil.In Shlomo Argamon; Jussi Karlgren; James G. Shanahan (éds. ), Proceedings of worshop SIGIR 2005: Stylistic Analysis of Text for Information Access. , 2005. B. Daille, S. Dufour-Kowalski, E. Morin. French-English multi-word terms alignment based on lexical context analysis. In the Fourth International Conference on Language Ressources and Evaluation (LREC 2004), 2004, Lisbonne, Protugal, Portugal. C. Enguehard, B. Daille, E. Morin. Tools for Terminology Processing. In The Indo-European Conference on Multilingual Communications Technologies (IEMCT), juin 2002, Pune, Inde.In R. K. Arora, M. Kulkarni, H. Darbari (éds.), . Tata McGraw-Hill, 2002. A. Granet, E. Morin, H. Mouchère, S. Quiniou, C. Viard-Gaudin. Étude préliminaire de reconnaissance d'écriture sur des documents historiques. In Rencontre des Jeunes Chercheurs en Recherche d'Information (RJCRI), mars 2017, Marseille, France. R. Bois, G. Gravier, P. Sébillot, E. Morin. Vers une typologie de liens entre contenus journalistiques. In 22e conférence Traitement automatique des langues naturelles, TALN 2015, juin 2015, Caen, France. R. Harastani, B. Daille, E. Morin. Identification, alignement, et traductions des adjectifs relationnels en corpus comparables. In Vingtième conférence du Traitement Automatique du Langage Naturel 2013 (TALN 2013), juin 2013, Sables d’Olonne, France. M. Weller, A. Gojun, U. Heid, B. Daille, E. Morin. Compiling terminological data using comparable corpora: from term extraction to dictionaries. In 34th Annual Conference of the German Linguistic Society (DGfS), mars 2012, Frankfurt, Allemagne. B. Daille, C. Jacquin, L. Monceaux, E. Morin, J. Rocheteau. TTC TermSuite : une chaîne de traitement pour la fouille terminologique multilingue.. In 18ème Conférence francophone sur le Traitement Automatique des Langues Naturelles Conference (TALN 2011)., juin 2011, Montpellier, France. L. Bo, �. Gaussier, E. Morin, A. Hazem. Degré de comparabilité, extraction lexicale bilingue et recherche d'information interlingue. In TALN 2011 - Conférence sur le Traitement Automatique des Langues Naturelles, juin 2011, Montpellier, France.In Mathieu Lafourcade, Violaine Prince (éds. ), Actes de la 18e conférence sur le Traitement Automatique des Langues Naturelles (TALN). LIRMM Montpellier, 2011. A. Hazem, E. Morin, S. Peña Saldarriaga. Métarecherche pour l'extraction lexicale bilingue à partir de corpus comparables. In 18e Conférence sur le Traitement Automatique des Langues Naturelles (TALN), juin 2011, Montpellier, France.In LIRMM CNRS (éds.), . , 2011. S. Peña Saldarriaga, E. Morin, C. Viard-Gaudin. Fusion de résultats en recherche d'information : application aux documents manuscrits en-ligne. In Colloque International Francophone sur l'Écrit et le Document (CIFED 2010), mars 2010, Sousse, Tunisie. L. Goeuriot, E. Morin, B. Daille. Reconnaissance de critères de comparabilité dans un corpus multilingue spécialisé. In Conférence en Recherche d'Information et Applications (CORIA'09), mai 2009, , France. S. Peña Saldarriaga, E. Morin, C. Viard-Gaudin. Impact de la reconnaissance de l'écriture en-ligne sur une tâche de catégorisation. In 6ème Conférence en Recherche d'Information et Applications (CORIA 2009), mai 2009, Presqu'Île de Giens, France. E. Morin. Apport d'un corpus comparable déséquilibré à l'extraction de lexiques bilingues. In 16ème conférence sur le Traitement Automatique des Langues Naturelles (TALN), juin 2009, Senlis, France. S. Peña Saldarriaga, E. Morin, C. Viard-Gaudin. Un nouveau schéma de pondération pour la catégorisation de documents manuscrits. In 16ème Conférence sur le Traitement Automatique des Langues Naturelles (TALN 2009), juin 2009, Senlis, France. E. Morin. Apport des termes complexes à l'acquisition lexicale multilingue à partir de corpus comparables spécialisés : entre intuition et réalité. In 7ème rencontres Terminologies et Intelligence Artificielle (TIA'07), octobre 2007, Sophia Antipolis, France. F. Perraud, C. Viard-Gaudin, E. Morin, P. Lallican. Modèles de langages adaptés à la reconnaissance de l'écriture en-ligne. In 15ème congrès Reconnaissance des Formes et Intelligence Artificielle (RFIA), janvier 2006, Tours, France. F. Perraud, C. Viard-Gaudin, E. Morin. Language Independent Statistical Models for on-Line Handwriting Recognition. In Tenth International Workshop on Frontiers in Handwriting Recognition, octobre 2006, La Baule (France).In Guy Lorette (éds.), . Suvisoft, 2006. B. Daille, E. Morin. French-English terminology extraction from comparable corpora. 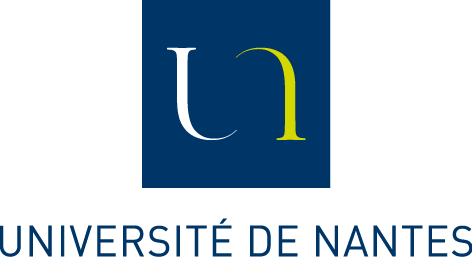 In The 2nd International Joint Conference on Natural Language Processing, 2005, , Corée du Sud. E. Morin, M. Leclère, F. Trichet. The Semantic Web in e-recruitment (2004). In The First European Symposium of Semantic Web (ESWS'2004), 2004, , Grèce. E. Morin, S. Dufour-Kowalski, B. Daille. Extraction de terminologies bilingues à partir de corpus comparables. In OnziÃ¨me Conférence Nationale sur le Traitement Automatique des Langues Naturelles (TALN 2004), 2004, , Maroc. M. Bourse, M. Leclère, E. Morin, F. Trichet. Human Resource Management and Semantic Web Technologies. In 1st International Conference on Information \& Communication Technologies: from Theory to Applications (ICTTA), 2004, A compléter, Syrie. E. Morin, H. Schwenk. Multilinguisme et TAL. 01-12-2010 France. E. Morin. Synergie des approches et des ressources déployées pour le traitement de l'écrit. J. Lark, E. Morin, S. Saldarriaga. Extraction d'opinions ambigües dans des corpus d'avis clients. In Conférence TALN, juillet 2016, Paris, France. J. Lark, E. Morin, S. Peña Saldarriaga. CANÉPHORE : un corpus français pour la fouille d'opinion ciblée. In TALN 2015, juin 2015, Caen, France. J. Lark, S. Peña Saldarriaga, E. Morin, F. Poulard, S. Ornetti. Consumer Concern Extraction in Social Web Reviews. In International Conference on Digital Intelligence 2014, septembre 2014, Nantes, France.